Ready or Not Fan Season is Coming | Tamarack Technologies, Inc.
Tamarack is geared up for Whole House Fan Season Are You? Calling all homeowners looking for an easy and natural way to cool their home with healthy fresh air. A Whole House Fan pulls in fresh outdoor air through open windows in your home and expels the hot air out of an attic. That is how a Whole House Fan works! Tamarack Whole House Fans are the easiest house fans to install on the Market! Energy Savings Cut your A/C costs drastically. Ask This Old House shows just how easy it is to install an alternative cooling solution in your home. Watch the Tamarack HV1600 Whole House Fan is installed by Tom Silva. The Whole House Fan line offers the INFINITY series of ducted whole house fans which can exhaust and deliver make up air simultaneously. The INF2200 and INF11100 were designed specifically for homes with a sealed attic. The TC1000-H Whole House Fan is for homes with no attic space. Tamarack also now has powerful ducted whole house fans the most powerful HV5800M Cyclone Ducted Whole House Fan with Mechanical R49 Self Sealing Doors HV5500G Blizzard Whole House Fan with Gravity Dampers. Tamarack Technologies Inc. was awarded the Best Green Feature by the Connecticut Home Builders Association HOBI Awards. The Tamarack Wi-Fi HV3400 Ghost Whole House Fan was installed by T & M Homes a Connecticut homebuilder since 1962. The Wi-Fi app that the fan can be controlled with perfectly integrates into a Smart Home and works with Voice control devices like Amazon Alexa and Google Home devices. It easily installs in an attic by a savvy DIY homeowner. 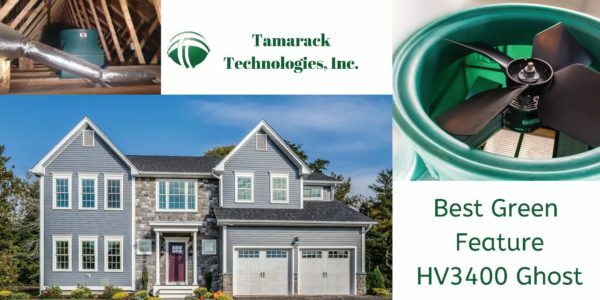 Tamarack offers Whole House Fans for every application, ducted, non-ducted, exhaust fans, house fans for homes with no attic and or a sealed attic. 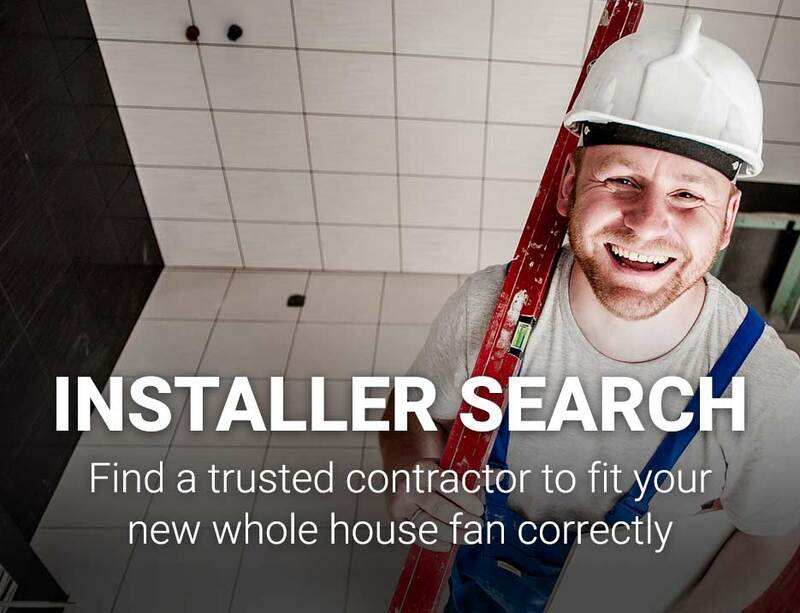 Tamarack also has a dedicated installer search for when you need to consult with a contractor or have them come in and install one of Tamarack’s many Whole House Fans for all types of homes. Search can be done by zip code, state, company name. 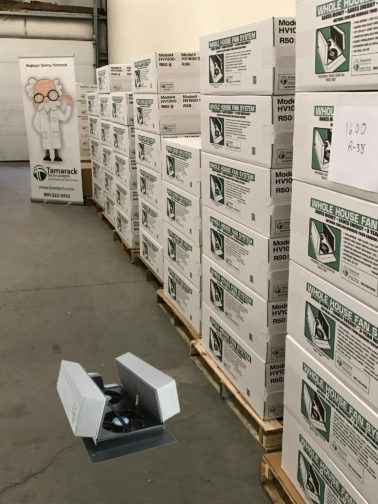 If you would like to find out more before you purchase a Tamarack product specialist can answer your questions, your ventilation solutions are literally a call or click away. Need help determining which Tamarack Whole House Fans are adequately sized for your home? Start with Tamarack Fan Finder tool. 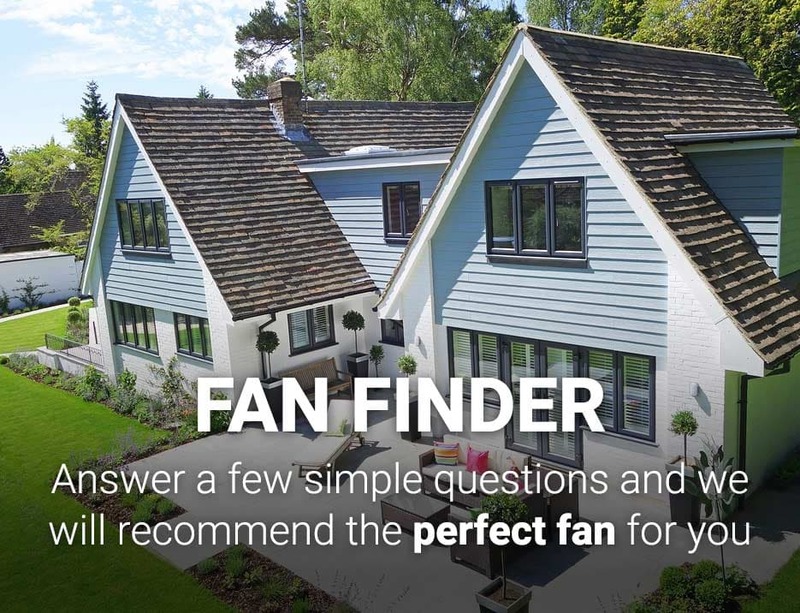 Simply type in square footage and optional contact info and the Fan Finder will suggest all of the models suited for your home. The qualified Tamarack installer has no stock or fee requirements. Tamarack promotes your business on the installer search and can blast out announcements on social media. Have questions before or after your purchase? A Tamarack Specialist can answer any of your questions They are literally just a click or phone call away. Why did Ask This Old House choose Tamarack Technologies HV1600 Whole House Fan over the competition not once but twice? 26 Years Manufacturing in the US. Industry Leader in sealing the living space from the attic via insulated doors when the fan is not in use. 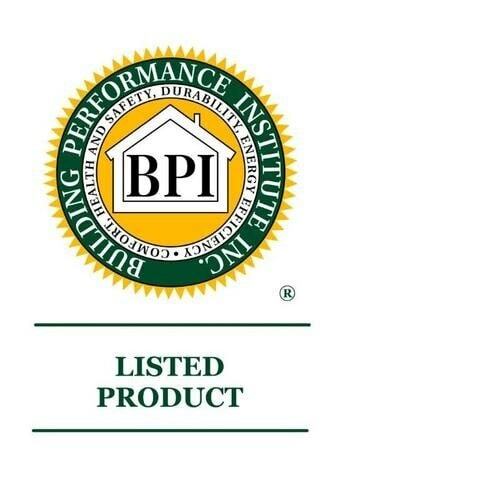 Recommended by HERS raters and BPI raters. Full line of ventilation solutions to solve all your needs. 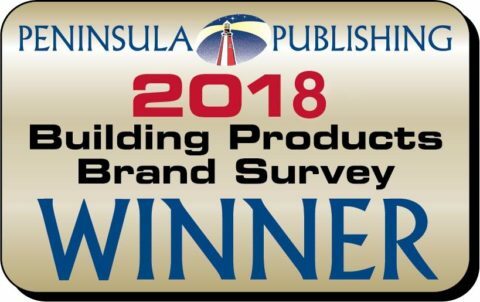 The passive line of Tamarack products is backed by Green Building Advisor, Fine Home Building Magazine, and Allison A. Bailes III, Ph.D. otherwise known as the (Chief Troublemaker at Energy Vanguard.